We are continuing to have the most extraordinary weather so went cycling again today. Le temps extraordinaire continue alors nous avons pu faire du vélo aujourd’hui. It looks like you had spectacular weather. Amazing blues! It looks like your river has suffered better through this past summer than the Danube and Rhine. I have friends who have just had their cruises cut short because of the low water levels. It’s difficult to understand why, but there have been no watering restrictions although there were last year and the level of the river does not seem to have fallen that much. 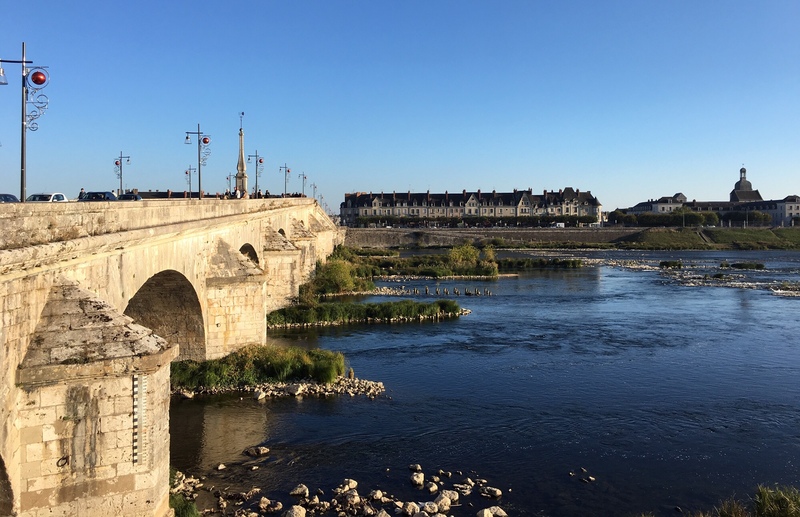 The Loire is not navigable so doesn’t affect cruises but we were able to cross it on the little flat-bottomed boat with our bikes in September and the boatman said he has seen no noticeable drop in level. Yet we have had very little rain!